We will attend Euronaval show on Caterpillar booth from 17th to 21st octobre 2016. Caterpillar offers globals solutions for governmentals and militaries applications. A Caterpillar dealer network with Eneria Cat in France. Eneria Cat® sales team welcomes you on Cat® booth : C10. 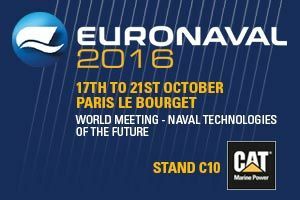 Share the post "Euronaval 2016 – 17th au 21st octobre – Paris Le Bourget"